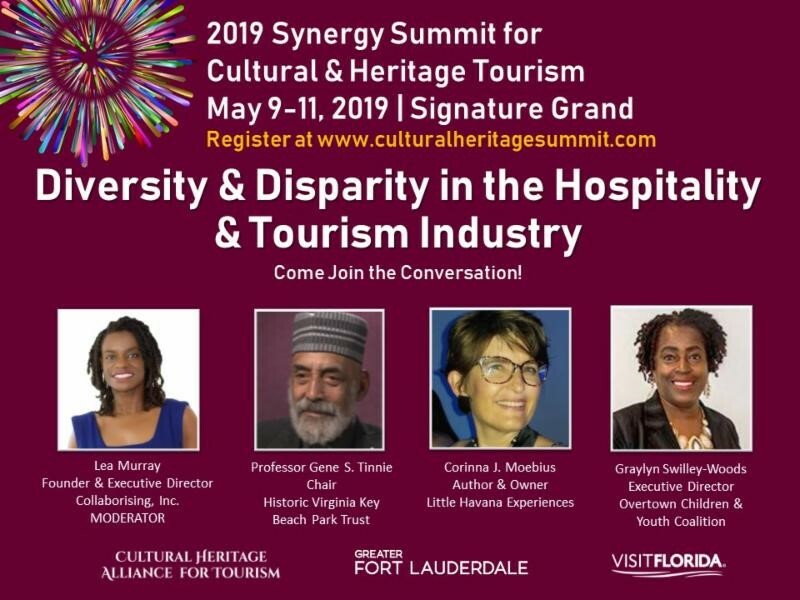 The Cultural Heritage Alliance for Tourism, Inc. (CHAT) in partnership with the Greater Fort Lauderdale Convention & Visitors Bureau (GFLCVB) and Broward Cultural Division presents the 2nd Annual Synergy Summit for Cultural and Heritage Tourism (The Summit) scheduled for May 9-11, 2019. Join the Virginia Key Beach Park Trust Chairman, Professor Gene S. Tinnie in a conversation on Diversity & Disparity in the Hospitality & Tourism Industry. The two-day Summit is the place where tourism, travel & hospitality professionals, small businesses & entrepreneurs, and local artists will gather to communicate and explore synergy for collaboration as well as form strategic partnerships that strengthen and protect Florida’s tourism ecosystem. The Summit will showcase cultural and heritage tourism assets expanding the tourism footprint and economic impact in heritage neighborhoods and multicultural communities.